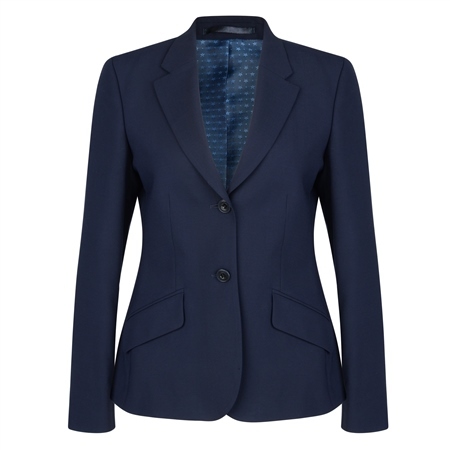 A beautifully tailored navy blue suit jacket, styling is simple yet elegant with two buttons, slant pockets and a Liberty of London print internal panel. Pair with the Fahan trouser – a smart tailored fit skinny trouser or the Dana skirt – a classic pencil skirt which sits below the knee. The fabric is a wool blend with stretch, designed for comfort. Also available in black.